Have you lost money investing in Aztec Comanche A Oil & Gas LP? If so, The White Law Group may be able to help you recover your investment losses in a FINRA arbitration claim against the brokerage firm that recommended the investment. 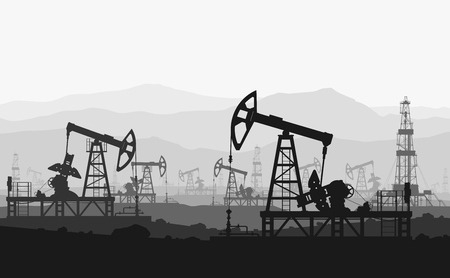 The White Law Group has represented a number of investors in claims involving broker-dealers recommending that investors invest in speculative oil and gas partnerships. According to a press release, Aztec Comanche A Oil & Gas LP started in late 2012 with approximately $5 million in funding. The limited partnership appears to have a primary focus on drilling and reworking shallow oil wells in Texas. Aztec’s wholly-owned subsidiary, Aztec Energy LLC, took a 30% ownership interest in the Partnership and apparently acts as the Partnership’s Managing General Partner. Investors in the program, according to SEC Form- D, then become partners of a partnership with Aztec Energy LLC Managing General Partner. In January 2013, following the close of the Partnership, Aztec launched a second Partnership, Aztec Comanche B Oil & Gas LP subsequently followed by Aztec Comanche C Oil & Gas LP. Due to the high degree of risk associated with oil and gas partnerships, like Aztec Comanche, they are generally more appropriate for sophisticated and institutional investors. Unfortunately, because of the high commissions these products generally pay to brokers, they are often sold to unsophisticated and retired investors. Brokerage firms have a fiduciary duty to perform adequate due diligence. They must determine if an investment is appropriate for a particular client given the client’s age, net-worth, financial objectives, investment experiences, financial needs, and risk tolerance. If a brokerage firm makes unsuitable investment recommendations or fails to adequately disclose the risks associated with an investment they may be liable for investment losses. If you would like to speak with a securities attorney regarding your ability to recover investment losses in a Aztec Comanche partnership, please call The White Law Group at 1-888-637-5510 for a free consultation.